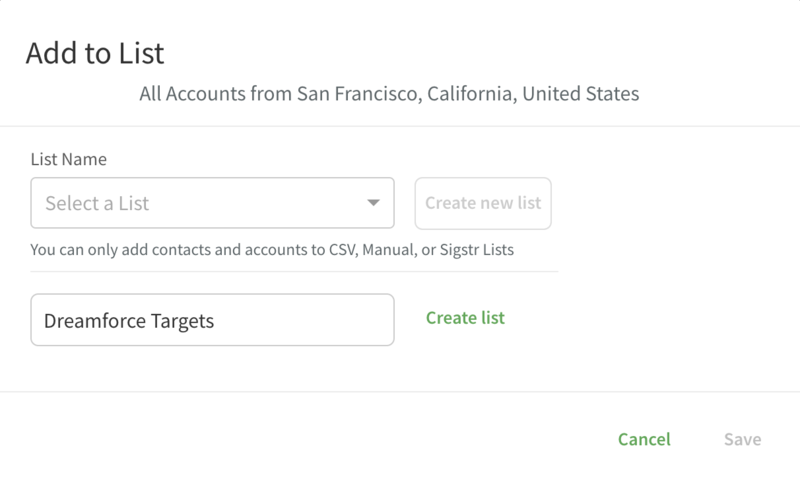 Whether you're looking to build lists for ABM, event marketing, or email signature marketing, Sigstr Relationships can help you make sure you're targeting your best fit accounts and contacts. 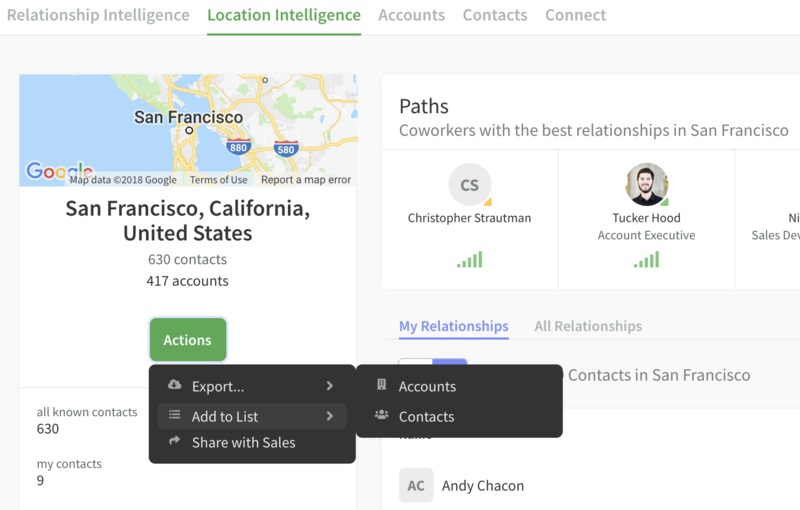 Navigate to Sigstr Relationships and then click on Location Intelligence. 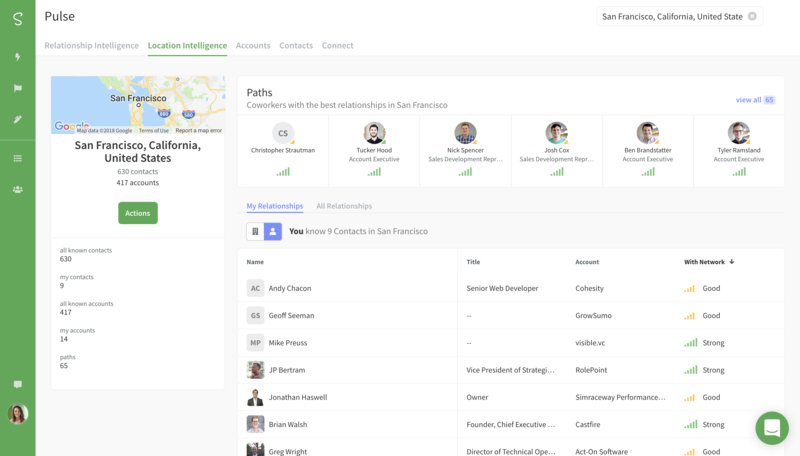 Once your search results load, click on the Actions button. 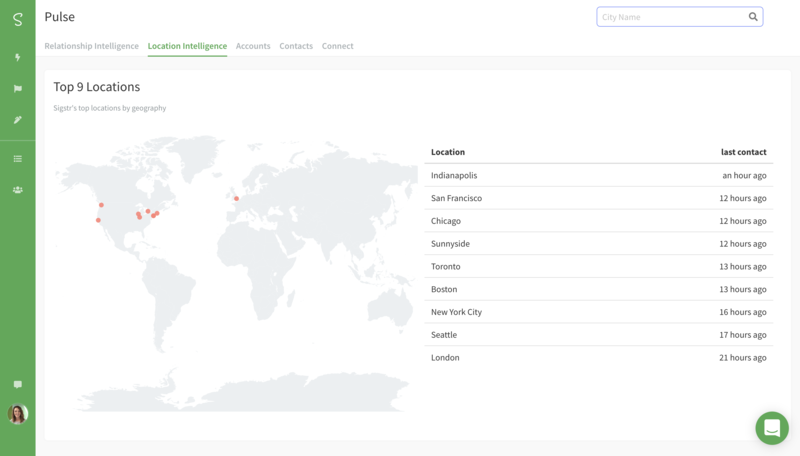 Choose to either export the accounts, contacts, or paths associated with that city or to add the accounts or contacts to a list in Sigstr. 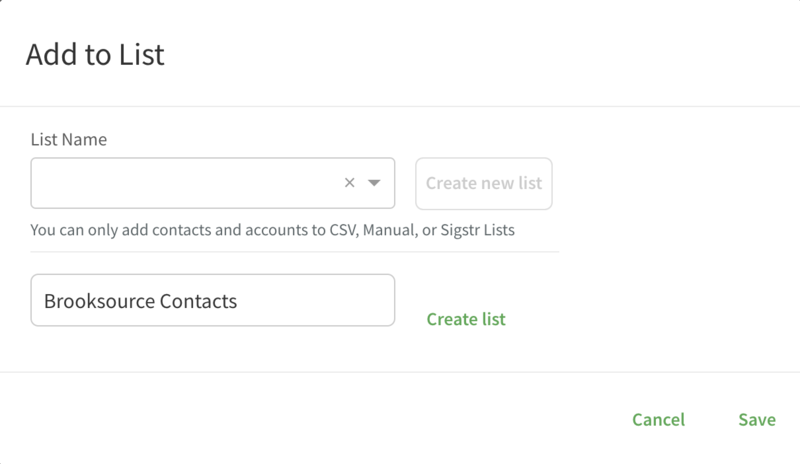 If you've chosen to Add to List, decide whether to add to a preexisting list or create a new list in Sigstr. 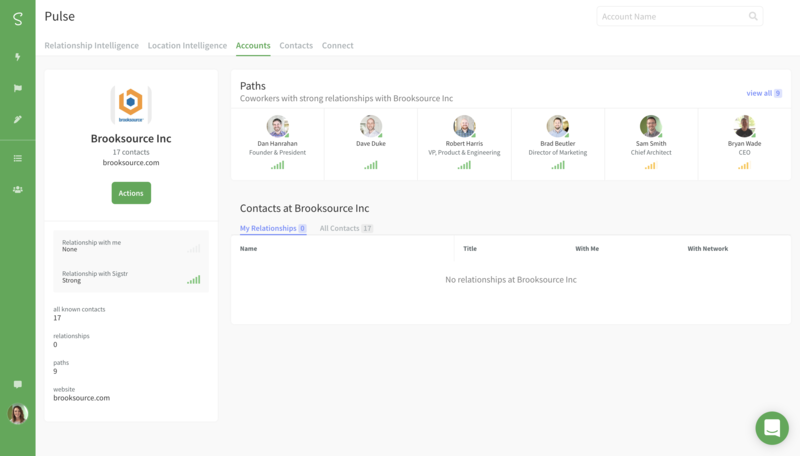 Navigate to Sigstr Relationships and then click on Accounts. 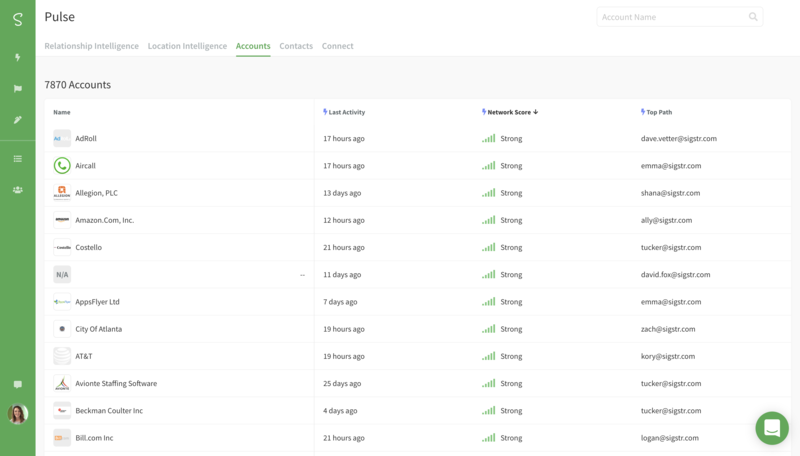 Search by name, network score, top path, or last activity to locate one or more accounts then click to the details page. 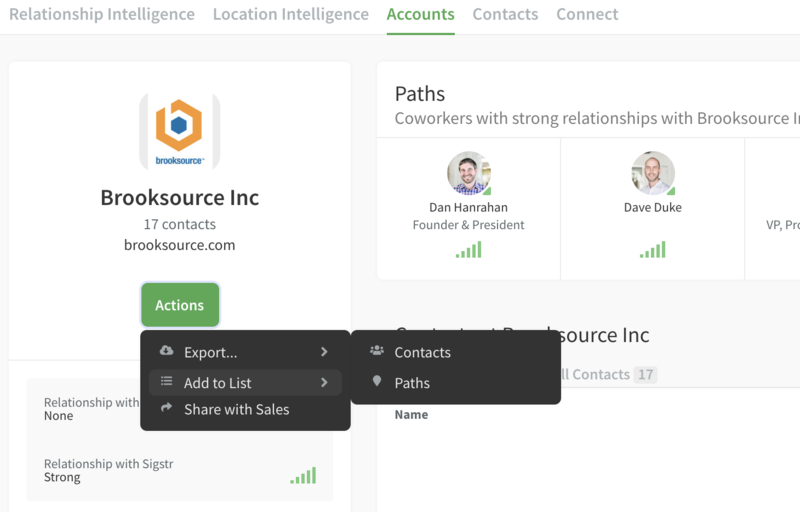 Choose to either export the contacts or paths associated with that account or to add the contacts to a list in Sigstr.